Server deployment suggestion on CMSV6 - Infos - Babelstar Technology -Inteligent Vehicle Monitoring Solution. Distributed deployment, mainly refers to the functional distribution, that is, each business server is responsible for different business functions. Such as streaming media is mainly responsible for media forwarding, gateway server is mainly responsible for MDVR equipment access. Server cluster Each business server running multiple servers at the same time, by a number of servers at the same time to provide services for customers. The server cluster has the following characteristics: High scalability: The server cluster has a strong scalability. As demand and load grow, you can add more servers to the cluster system. High Availability: Automatically seamlessly switches the load to other servers when a single server has a fixed heart. load balancing system load balancing is mainly done by the login server. The service server registers the login server and reports the current service status (network status, CPU load status, etc.). The login server performs the corresponding scheduling according to the load of the service server. Login server is the central management server, which is mainly the resource information of the server system, and carries on the corresponding dispatch to the system resource, is responsible for the business server load balance. It is recommended to use a dual-server hot backup mode using a logon server. 1 as a main login server, one from the login server, two servers for hot standby. When the primary logon server has an exception, it is serviced by the slave server. 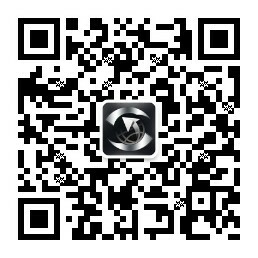 Provide MDVR device access service. The MDVR device establishes a communication link with the gateway server, and the GPS and alarm data reported by the gateway server access device is stored on the database and is responsible for signaling interaction with the MDVR. With 10,000 MDVR devices, it is recommended 1 + 1 total of 2 gateway servers. Note: increase a gateway server, is the use of redundant methods to avoid a single point of view. Streaming media to provide media data forwarding function. Including audio and video, intercom, listening, video query and playback data forwarding. With 10,000 MDVR devices, each device has a camera. A total of 10,000 video, according to the customer preview the video at the same time the probability of 40%, while the need to perform 4000 video forwarding. It is recommended to deploy 4 + 1 total of 5 streaming media servers. Client access, responding to client interaction requests. Recommended to use 1 + 1 total of 2 WEB server. The database is mainly used for storing vehicles, users, GPS and alarm events. Our database uses MySQL-5.5.31-win32. At present, the GPS storage mode is stored in the database in binary mode. Each car needs 200Kbyte space per day. According to the storage time of 1 year, it takes about 700G space. If the alarm and other data are counted, about 1T is needed. The main operating pressure of the database is to update the GPS, alarm data, and respond to user queries. Considering the health and efficiency of the system, the database server uses master-slave replication, the deployment of two servers. The data update is stored on the Master and the Master synchronization is updated to the Slave. Query, and from the Master and Slave on the query. Reduce the query pressure on a single server. In addition, when the Master appears when the barrier, the service provided by the Slave to ensure the efficiency of the system database server recommended to use more than 16G of memory, while ensuring that the hard disk in more than 3T space. The WIFI download server is mainly used to download video files on the device. According to the current car 1 camera D1 resolution, hourly video is 800Mbyte, 16 hours a day, the total file size is 12.5GByte. Storage space calculation: 10000 by car, 1 day need 122.1T, 1 month need 3662T, half a year need 22000T, 1 year need 44000T, 3 years need 132000T size of the space. Upload time calculation: the current Jh4 hard drive host uplink speed is 3Mbyte per second, the day 12.5G video upload, it takes about 1.2 hours. (10000 / (24 / 1.2)) * 1.2 (calculated by redundancy 20% capacity) = 600 devices to provide video file download service. For example, according to the upload time calculation, about the same time the server needs (10000 / (24 / 1.2)) * Each download server can provide services for 80 devices at the same time, it is recommended to use 8 +2 10 download server. It is recommended to use IPSAN storage for large-scale data storage. IPSAN supports multiple Raid levels, iSCSI technology to ensure fast data storage and data storage efficient and reliable. According to each IPSAN with 60T hard drive, according to a year 44000T capacity calculation, about 688 IPSAN server. download the server to download the file, the video saved to the IPSAN server, while the video file information stored in the database, when the client performs playback, the first retrieval from the database file information, on-demand, directly from the corresponding IPSAN server to obtain video data.